Leisler's Bat is quite common throughout Wales. It is a medium-sized species with a dark face, short, rounded ears and shaggy brown fur. 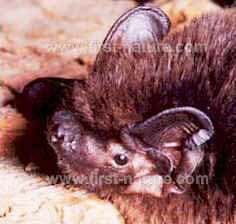 The head-and-body length is typically 5 to 6.8cm, and Leisler's bats usually weigh somewhere between 11 and 20 gm. 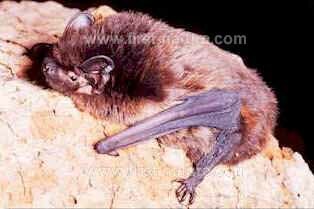 This is a fast-flying bat, and it is frequently seen feeding on the insects that gather around street lamps. Leisler's Bats often have their summer roosts in hollow trees. They also roost in buildings, where they sometimes breed, and are known to make use of bat boxes. In Wales, their maternity colonies are usually relatively small (20 to 50 bats). For their winter roosts Leisler's Bats may make use of hollow trees, but little is known for sure about their winter behaviour.